11,500 apps for the platform (7,500 are paid apps) and 36,000 developers (with 1,200 newly registered developers every week). 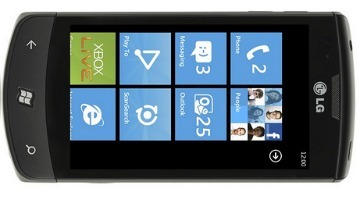 Windows Phone customers download an average of 12 apps each month. It takes 1.8 days, on average, for Microsoft to certify an app, and 62% of apps submitted are certified on their first attempt. It’s kinda’ funny how how MS’s Brandon Watson appears to be suggesting that Apple and Android inflate their numbers..
We recognize the importance of getting great apps on our platform and not artificially inflating the number of actual apps available to customer by listing “wallpapers” as a category, or perhaps allowing competitor’s apps to run on the platform to increase “tonnage.” We also don’t believe in the practice of counting “lite” apps as unique quality content. (…) Finally, we don’t double and triple count apps which are submitted in multiple languages. Having used an iPhone for a couple years, I can honestly say, and somewhat regrettably, that the quality of apps, generally speaking, for the WP7 are not up to snuff. There are some nice ones though, and knowing that more are to come keeps me hanging on.